Join us for the Walking Willows. 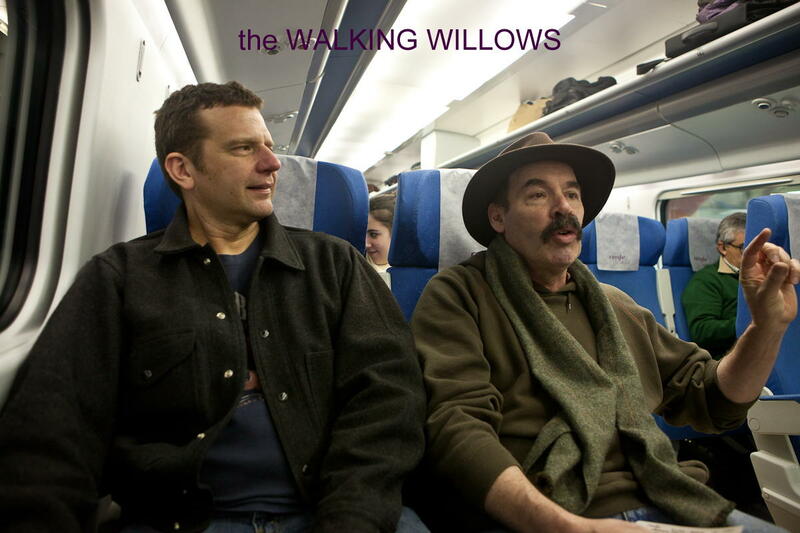 The WALKING WILLOWS are the new band of acoustic guitarist, vocalist, award winning songwriter and composer Stephen Cohen and double bass player, pianist, vocalist and arranger Rich Hinrichsen. They perform melodic, “emotionally gripping”, creative acoustic music. The two started playing together in 2007, when Rich joined Stephen’s legendary ensemble, the Tree People. The Tree People were a creative acoustic music ensemble originally formed in the late 1970’s in Eugene, Oregon. Founding members are composer, songwriter, acoustic guitarist and vocalist Stephen Cohen, and Jeff Stier, who plays recorders, flute and percussion. They recorded two albums, The Tree People, in 1979, and Human Voices in 1984. The Tree People disbanded in the mid 1980’s, but unknown to them at the time, the first two albums would later be discovered worldwide and be reissued by record companies in Japan and Spain, leading to a 3rd and last Tree People album, It’s My Story being released by Guerssen Records of Spain in 2010. Now, as the WALKING WILLOWS, (you might say an offshoot of the Tree People), Stephen Cohen and Rich Hinrichsen are creating, performing and recording new music (with many Tree People songs thrown in for good measure). They have done three Creative Residencies at Centrum, an art organization in Port Townsend, Washington where Stephen and Rich created the Cistern Symphony, a music video/film/work of art created deep underground in the Dan Harpole Cistern in FortWorden, where Centrum is located. Work on a WALKING WILLOWS album, which will be released in the fall of 2012, is in progress. Regional and national tours are planned for the WALKING WILLOWS. The story continues! This entry was posted in live music and tagged concerts santa fe, live music santa fe, The Performance Space, walking willows. Bookmark the permalink.